Interior design is one of the most lucrative careers in the world today, isn’t it? Hence it makes sense that anyone would want to study the course. A laptop is a must-have for any student who is creative enough to pick interior design as a subject. In this article; we’ll list out 3 Best Laptop for Interior Design Students, which are not only under your budget but also light on your shoulders too. One needs to practice and practice, both the software and how to get the best from the hardware. Students usually have a limited budget when it comes to buying a laptop, and keeping that in mind; below are 3 laptops for interior design that offer the best while at the same time being pocket-friendly. This is the best laptop for an interior design student because of the slick design and the performance under the hood. 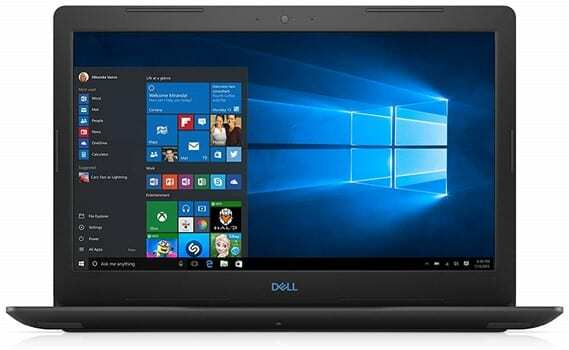 It comes with an 8th Generation Intel Core i7-8550U processor, 13.9” 3K touch screen. A RAM of 16 GB, an SSD of 512 GB and an Nvidia GeForce MX150 graphics card; one of the latest graphics card that boosts performance by 130% compared to Intel UHD graphics. In case you live under a rock, an SSD is a hard disk that utilizes the same technology as a flash drive. This means that instead of a disk, it uses chips thus making it faster and efficient in data transfer and thus assists in making the computer faster. The 16GB RAM module enables the computer to multitask between memory intensive tasks smoothly. Imagine playing the latest video game at full resolution and at the same time rendering a design project and occasionally stopping to retouch a photo in Photoshop, and the laptop has no sign of lagging or overheating. That is what the Huawei Matebook X Pro will offer you as a student. The touch screen feature is the most attractive part of this laptop. Though this laptop doesn’t flip 360-degree into a tablet; but this will come in handy when as a student you have to present your work to someone. It is easier to just tap on the screen when giving your lecturer a tour of your latest interior design project. Being nervous will cause you to fumble around. For the price it sits at, the Huawei Matebook X Pro is completely sleek, slim and weighs at jut 2.93 pounds, and it’s hard to find a laptop as good this one even at double the price. 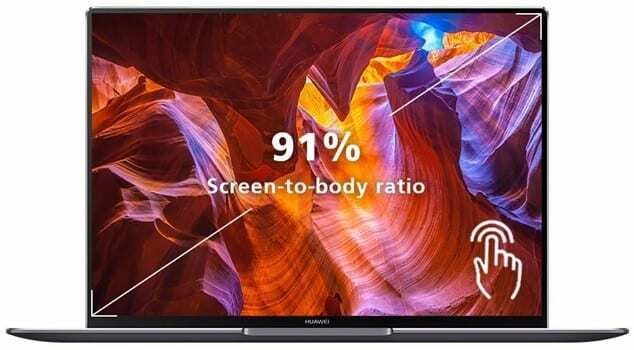 The 3:2 aspect ratio of its screen makes it ideal for creating Powerpoint Presentations or reading documents on the go without squinting your eyes or zooming a lot. To keep the design slim, Huawei had to reduce the number of ports on this laptops to just 2x USB Type-C port (supports Thunderbolt 3) and a USB 3.0 port. However, the brand is generous enough to provide a Mate Dock 2.0 that offers additional ports like USB-A, USB-C, HDMI port, and VGA port; hence connecting this laptop to an older or newer projector to showcase your work won’t be an issue. Trust me, if you want to have the best laptop for interior design that is under budget and easy to carry around, you shouldn’t miss buying the Huawei Matebook X Pro. 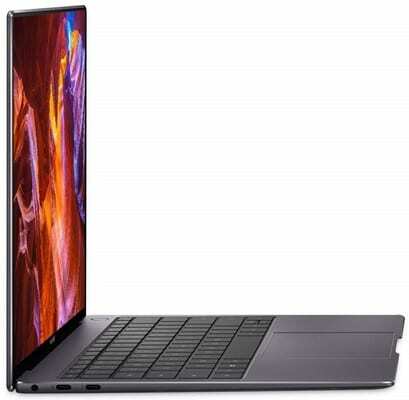 Just in case for some odd reason you do not like the Huawei Matebook X Pro, or looking to save few bucks to later invest in an interior design software; then the Dell G3 is an ideal choice. 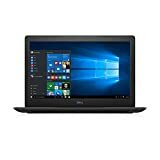 Dell is a veteran in the laptop market unlike Huawei, but that maybe has no bearing on how useful a laptop is. For the price, you get a 15.6” Full HD screen along with an 8th Generation Intel Hexa-Core i7-8750H CPU. This means that the processor comes with six cores. It has a dedicated Max Turbo 4.1GHz boost while the each of the six cores has a default frequency of 2.3GHz. It comes equipped with a mighty Nvidia GeForce GTX 1050 Ti 4GB GDDR5 graphics memory. To be honest; the Nvidia GTX 1050 Ti is twice as fast as Nvidia MX150 graphics card mentioned in the above laptop. However, both these graphics card offer excellent performance with any of the interior design software you use. Once you’re done with work, you can even play modern games on this laptop too. The other features are standard peripheries that come with a high-end laptop. These are elements like super speed USD ports, superior networking capability and the latest operating system from Windows. A buyer is able to choose between three varieties of the laptop. It is actually the same laptop with differing specifications, the most expensive version costs just above $1000. That version carries a 16 GB RAM, a higher processor speed of 4.1GHz. Every other feature is similar to this one. All the laptops on this list come equipped with a backlit keyboard; enabling you to access the keyboard even in pitch darkness of your dorm room. If you have a strict budget under $1000, then this laptop is for you. 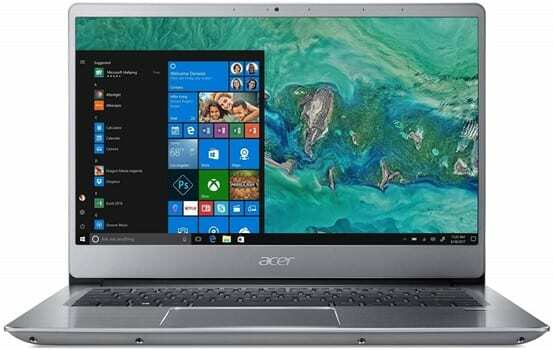 The Acer Swift 3 features a 14” full HD screen, 8 GB DDR4 of memory, along with two hard disks, a 128 GB SSD and a 1TB 5400RPM SATA hard drive, which you can swap for a faster standard SSD drive. This will ensure that you have endless storage space for movies, games, and software, as four-year class work will fit perfectly on it. It is interesting to note that the laptop has one 2.0 USB port and three 3.0 USB ports. This feature is great because it allows the user to connect more external peripheries via the USB ports. The 3.0 USB transfers data faster than the 2.0 USB. The laptop weighs 3.31 pounds, but the sparkly silver color makes it look like it weighs much less. The laptop’s impressive feature is that it has a battery life of up to 12 hours. The well designed, powerful Acer can be yours at a bit cheaper price than the Dell G3. The three laptops have features that are synonymous with interior design students. Students want portable gadgets, an element possessed by all the above state of the art laptops. The power is a requirement for easy handling of the memory intensive interior design software. Most students will acquire these laptops only to go get immersed in playing high-end video games forgetting the initial purpose. Revit is a high-end interior design software. It handles modeling and 3D visualization very well. It allows for faster workflow and elevates a student’s understanding of the craft. It takes time to understand the ins and out of the software, but once you are proficient, you become set for life. 3Ds Max as it’s known in the industry is the standard interior design software. It is relatively easy to get the ins and outs of the program, and this is aided by the availability of endless tutorials and support materials. You cannot call yourself an interior design professional if you have no idea how to design in 3Ds Max. AutoCAD is the preferred and most recognized 3D software on the market. However, it is costly for a student. The best thing is that a student can create very complex designs unlike in other programs. An honorable mention is SketchUp 3D modeling software. It is the best program for beginners, and the best thing is that it has a free version and a paid version. The free version is ideal for students. The only problem is that the software is not fit for complex model designs. After graduation, an interior design student will earn more money than half of the other career choices. Therefore, it is best to think about investing in education by acquiring these powerful laptops and the industry standard software. Just having a powerful laptop and software will get you a job placement, and then you have to prove yourself by showing samples of the passion projects you did in your dorm room for imaginary clients. Otherwise, you can skip the job employment route and believe in yourself and start your own interior design firm. A powerful laptop and industry standard software makes up half of an interior design company. Clients will take you seriously just from that but for them to pay good money, show them your skills.